Ning Yi (Kun Chen) is the calculating and ambitious sixth prince of the ruling kingdom, yet has learnt to hide his true personality behind a carefree facade after corrupt and duplicitous court officials charge his mother with high treason. 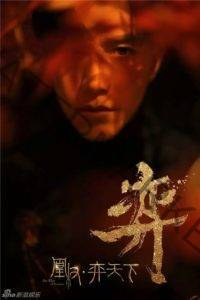 Over the next decade, he establishes a secret information network led by Qingming Academy’s head tutor Xin Ziyan, and waits for the perfect chance to strike down his enemies and overturn the charges laid against his mother. Feng Zhiwei (Ni Ni) is the illegitimate daughter of the Qiu clan, and is banished from her household after being falsely accused of a crime. In order to survive, she cross-dresses herself as a man and joins the prestigious Qingming Academy. She enters court as a general and politician after stunning the world with her talent and knowledge, and befriends Ning Yi.She remains loyal and honest to the reigning Emperor during the princes’ fight for the throne, yet soon finds out she is the only surviving royalty of a fallen kingdom. Manipulated into thinking that the current kingdom was built upon the corpses of her loved ones, Zhiwei ultimately decides to take revenge against her enemies, including her lover Ning Yi. Will they be able to put their vengeance behind them and live a life without hatred? If you like what read about The Rise Of Phoenixes, please remember to share Netflix New Releases on Facebook, Twitter or wherever you guys want it’s all appreciated.